Mystery Fanfare: Harriet Klausner: R.I.P. Harriet Klausner, of Morrow, GA passed away on October 15, 2015. 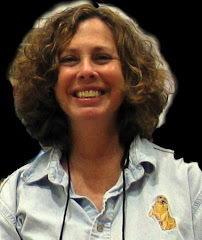 Mrs. Klausner was a reviewer of books and a newspaper columnist. At one time she was the #1 ranked reviewer on Amazon.com. She was a former librarian with a master's degree in library science who was proficient in speed-reading. She is survived by her husband, Stan Klausner; son, Eric Klausner (Nancy) of Jonesboro, brother, Larry Karpel (Sindee) of Ft. Myers, FL., numerous nieces and nephews. Here's a link to a 2006 Time Magazine article about Harriet Klausner. I know there was much controversy about her, but, as a beneficiary of her intent to bring lesser known writers without big publicity to the fore, I always apprciated her kind reviews. Nor, BTW, did I ever feel she had not read the books. I will miss her. I'd like to see a total of how many reviews she wrote for Amazon alone. 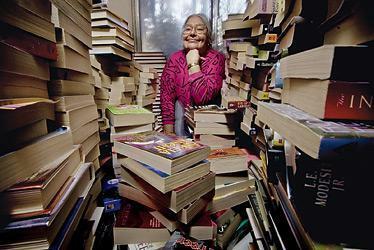 Whatever else she did, she was dedicated to spreading the word about books, and for that I am grateful. My condolences to her family. I submitted Executive Lunch to her to read, but at the time it was only out in ebook, so she didn't review it! I don't think she ever did get an ereader. Yes, controversial. I remember on one reading group, one of the readers told me, 'When Harriet Klausner reviews your books, you'll know you've made it!" RIP, surrounded by books you love! I agree with Clea's comment above. As a retired librarian myself, I strongly endorse people who encourage reading by the general populace. I appreciated Harriet's reviews, and will miss her recommendations. She gave this writer some much-needed encouragement. Harriet reviewed most of my books and I never thought she hadn't read them first. I know there was a great deal of skepticism about her reviews, but I think she loved what she was doing and was glad to do it all the time. I've come across other readers who are so devoted that they rarely do anything else, but I couldn't do it. Harriet performed an important service for members of the mystery community and will be missed. As a first-time published mystery writer, I hungered for my first professional review back in 1998. When Harriet gave me a glowing review, my heart soared. I later found out she gave most people a glowing review, but it didn't dim my appreciation of her unsolicited opinion and the time she gave my book. She helped many a writer plunk themselves back into a chair to write another day. RIP Harriet. Harriet was such a booster to authors. Her reviews were stellar in their content. RIP, Harriet.